Published May 4, 2013 at 257 × 312 in Clara Vulliamy (b. 1962). 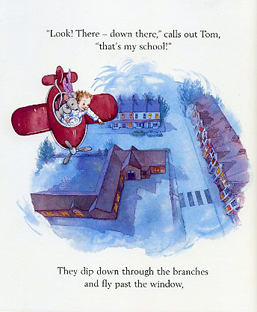 Illustration from Tom & Small by Clara Vulliamy (Collins Picture Books, 2004). Reprinted by permission of HarperCollins Publishers Ltd. Copyright © Clara Vulliamy 2004.